Fake news is already an entire industry, an anti-democratic weapon, a movie, a play, an insult and a cliche. 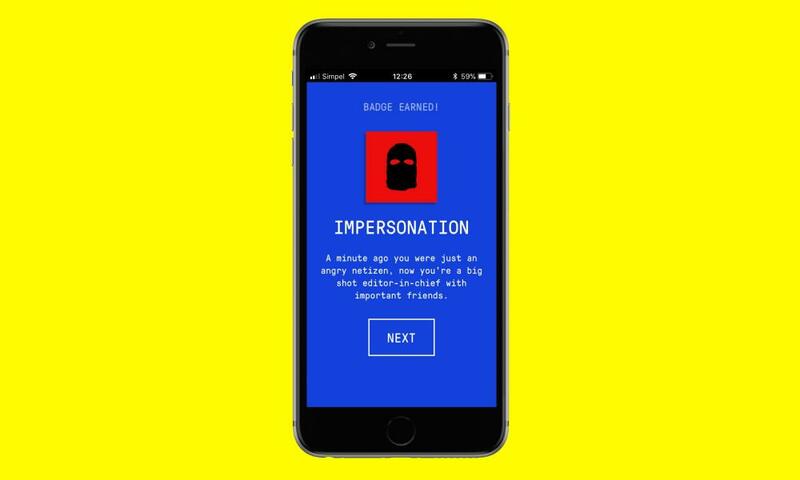 Now it is being turned into a game – to help people understand its wiles and deceptions. Cambridge researchers have built an online game, simply titled Bad News, in which players compete to become “a disinformation and fake news tycoon”. By shedding light on the shady practices, they hope the game will “vaccinate” the public, and make people immune to the spread of untruths. Players of the fake news game must amass virtual Twitter followers by distorting the truth, planting falsehoods, dividing the united, and deflecting attention when rumbled. All the while, they must maintain credibility in the eyes of their audience. The game distills the art of undermining the truth into six key strategies. Once a player has demonstrated a knack for each, they are rewarded with a badge. In one round, players can opt to impersonate the president of the United States and fire off a tweet from a fake account. It declares war on North Korea complete with a #KimJongDone hashtag. For the next six months, van der Linden, who worked on the project with Drog, a Dutch media collective, will gather information from the game, including players’ scores on questionnaires that assess how well they can spot tactics they have used. The work is due to be published in the Journal of Risk Research.